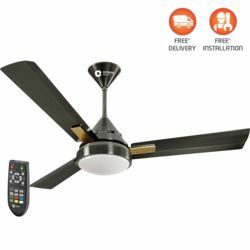 Remote and Mobile App operated IOT based fan with smart features- fan scheduling, fan time, turbo mode, sleep mode, breeze mode, reverse rotation. Multiple fans can be connected to the same App. 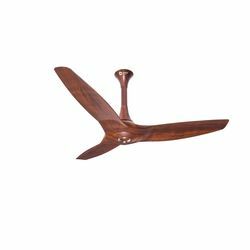 Set to redefine the way we look at a ceiling fan, the new orient aeroslim fan takes the technological genius of very silent, very powerful aeroseries fans to a whole new level with its mesmerizing looks, aerodynamic design, inverter motor, remote-controlled operation and iota control. Orient aeroslim has everything one could ask for in a fan. It features advanced aerodynamic profiled blade design and super-efficient inverter motor to give an impressive air delivery of 240 cmm while ensuring silent operation even at low voltages till 140v. Aeroslim has a sweep of 1200 mm and has 100 percent rust-free blade made of high-grade glass filled compounded abs which provides strength to the blades, thus making it bend-proof, rust-proof and easy to clean. 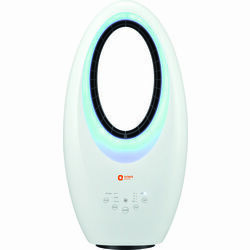 The fan consumes only 45-watt of power, thanks to the inverter motor. If all this was not enough, the smart fan is iota enabled too which puts comfort and control at your fingertips. 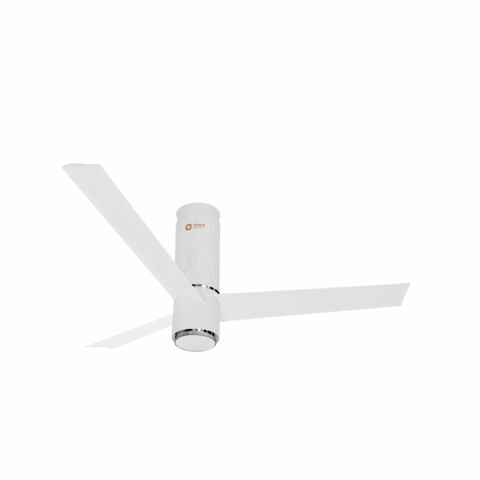 The iota control gives users the freedom to manage fan speed and modes, reverse rotation and lighting. With its one-of-a-kind slim, cylindrical design, orient aeroslim is sure to become the focal point in every setting. It has telescopic adjustable design of mounting which complements both traditional and modern ceilings. 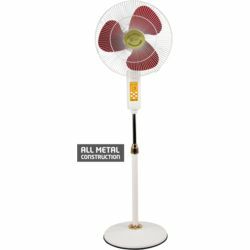 The seamless design and high gloss premium finish with pu paint/hydrographic finish makes this fan a real eye-catcher.